Joe Wagner thinks strong Elouan sales help Oregon. Not everyone agrees. "As a result of his unlawful acts, Joe Wagner will no longer be able to sell his wine in Oregon. I am asking the federal government to do the same and stop Wagner from selling Elouan wine in the other 49 states." A ban on Joe Wagner's wines—in Oregon or nationwide—hasn't come to pass, but it's what Oregon state representative David Gomberg, whose district includes a small part of the Willamette Valley, is pushing for. Gomberg was trumpeting, in a press release, a recent recommendation by Oregon Liquor Control Commission (OLCC) staff to revoke the license of Copper Cane Wines & Provisions, Wagner's company, to sell wine in Oregon after it found labeling violations. But the OLCC has not actually revoked Copper Cane's license, and Wagner has been working to settle the matter. How did a dispute over appellations and marketing turn into a call to ban a wine brand? The answer may lie in competing visions of Oregon wine's future. Rep. Gomberg and some Oregon vintners filed objections with the OLCC and federal authorities over Wagner's marketing of Elouan and another brand, Willametter Journal, a private label Copper Cane produces for Total Wine & More. Wagner buys grapes in Oregon, trucks them to California and produces the wine there. Federal rules mandate that he cannot use specific appellations on the wine—he can only label it Oregon. Wagner did that on the front label, but he mentioned the appellations from which he bought his grapes—the Willamette, Rogue and Umpqua valleys—on his back labels and cases. He argued that this was harmless marketing. A vintner stepped out of line, the feds cracked down, and he has changed his labels as a result. Problem solved, right? "Copper Cane claims they were simply engaged in 'fanciful' marketing. But the state of Oregon has determined that they crossed the line from fanciful to fraudulent, and that they cannot sell low-priced California counterfeits here and masquerade them as quality Oregon wines." That's Gomberg again. He wants the current Elouan wines pulled from the market. He also points out that Elouan sells for a price higher than the average Oregon Pinot Noir, and argues that Wagner was able to charge more because he was improperly touting the appellations on his back labels. To financially penalize the company, he has asked the TTB to suspend Copper Cane's permit to sell any wine in the United States for one year, just as the OLCC is considering in Oregon. On the legal front, Wagner told me that he and a colleague traveled to Oregon last week to meet with OLCC officials and discuss what action they can take to settle the matter without losing their license. Why are the Oregonians taking this so far? The answer, I suspect, lies in Wagner's most famous creation: Meiomi. Wagner started the brand while still working for his dad at Caymus. He built it into a sales phenomenon and then sold it for more than $300 million in 2015 to Constellation. Meiomi was successful for three reasons: First, at $20 a bottle, it was relatively affordable for a California Pinot Noir of its quality. Second, it was consistent, even as Wagner grew production. 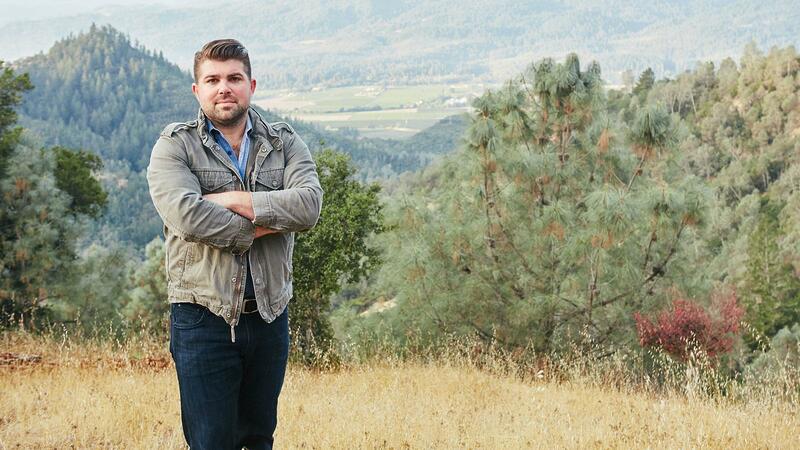 His team sourced quality grapes from multiple California appellations. The last factor was taste. Wagner used several techniques in the winery, including freezing his Pinot shortly after picking and blending in small amounts of other grapes, to create a riper, bolder style of Pinot. That style was not for everyone. Many longtime Pinot enthusiasts were not fans. But for many American consumers, Meiomi was just what they wanted. It defined California Pinot Noir for them. Elouan might as well be an Oregonian word for Meiomi. It's not the same—it definitely tastes of Oregon. But it's a plush, generous style of Pinot. Like Meiomi, Wagner sources it from multiple appellations, partially because Rogue and Umpqua produce riper fruit than Willamette and partially because their fruit is cheaper. And he prices it at around $20. Are Gomberg and Bernau worried about protecting the reputation of Oregon's appellations? "There are a lot of Oregonians who have worked for decades to build that reputation," Gomberg says. Undoubtedly. But soon, those appellations won't appear on Elouan's labels. "Most growers and vintners I speak to see Elouan introducing consumers to Oregon Pinot as a good thing," says Wagner. "But others may see us as a threat." Gomberg says this is not about destroying Elouan. "I'm not trying to put [Wagner] out of business," he says. "I want him to follow the law. I want him to buy lots of Oregon grapes." If that's true, maybe it's time to put the hostile words and legal threats aside. As long as Wagner abides by the rules, it's not Gomberg and Bernau's job to mandate what Oregon wine should taste like. That decision is up to every vintner who makes Oregon wine, and every wine consumer who votes with their wallet. Still another example of a holier-than-thou politician trying to make a name for himself. Working in the best interests of his constituents is expected; these comments seem to be excessively harsh. After all, the grapes do come from Oregon, which is more important to me than where they're crushed and bottled. Been tracking this story and no one has said they don't support his style in the other articles, just that they want him to follow the law. I value the comment on the SF Chronicle article that said, "...the weight of law is against him as Wagner is violating Oregon law. How about a wine producer in Nevada labelling bottles of Cabernet as "Napaville" Cabernet and marketing it as California Cab? How would wine producers in Napa feel about this..." His practices are degrading and diluting the American Viticulturtal Area system by using ficitious and multi-appellation listings. It would be like putting Napa next to San Joaquin Valley on the label - heightens SJV and devalues Napa. As an avid reader of Wine Spectator, shame on you for not protecting these appellations. You are just wanting to keep him and his family as big advertisers. It is very important to point out that Meiomi is off-dry This is a core reason why many consumers buy it. Probably the sweetest Pinot noir in the market. This really does damage to the Oregon brand. I am sure they do not literally add sugar to Meiomi but it is there from the grapes. Another sad appearance of sugar along with its use in chicken broth, jarred tomato/spaghetti sauce, etc. Most who buy Meiomi in my large wine store admit they like it because it is sweeter than pretty much any others. Sad. If a vintner from Oregon brought up Cabernet or Chardonnay, named it Napaier, Sonomaier, or Caymusier from Kalifornia, then flooded the market with the deceptive name and advertising, people from down south would lose their minds and litigate for millions in damages. Do some research on Napa Valley Vintners vs. Bronco Wine Company on the "Napa Ridge" case. They spent MILLIONS protecting the value of their appellation from someone making Lodi wine. Not okay for Oregon and the Willamette Valley to do the same? What about Champagne only being allowed to be made there, don't like that law either? Wagner can use Oregon, not Willamette Valley, and not 3 appellations. Greedy guy that thinks he is above the rules that everyone else has to play by. —Kathy, multiple appellations are legal when used properly (obviously they were not in this case). In fact, Meiomi touted that its grapes came from Monterey-Santa Barbara-Sonoma Counties. —Jay, the Napa Ridge case was an interesting one, but in that one, Bronco was using non-Napa grapes to make wine with Napa in the name. No one has offered evidence that Wagner used grapes from outside these appellations. That doesn't make it right, but it's not the same thing. As I said in this column and my previous one, Wagner's use of the appellations was against the rules. My question is what should the consequences be? The TTB forced him to change his labels. He has complied. So what else should be done? What would be a fair consequence for the degree to which consumers have been harmed? Should there be financial penalties? Should Copper Cane be banned from selling Elouan in all 50 states? —Thomas, Meiomi is definitely a riper, fruitier style. Personally, it's not my favorite style, but it seems to be what many wine customers want. For decades now, wine drinkers have tended to start with fruitier wines and move toward dryer styles with experience. Sounds like jealousy (and fear) to me. Wagner has hit upon a style formula that has massive appeal. One need not look any further than the 2011 and 2013 Meiomi Pinot Noirs and the meteoric rise of the brand that spurred Constellation into purchasing the label for $315 million. The Francophiles in Oregon seem to be unnecessarily running scared. It was still fraud and Franzia landed a sentence for it. Joe put Willamette Valley on the case boxes of Elouan and its not 95% sourced from there. Seems similar to me.